Comments Off on Just added a NEW Before and After Page!! Hey Everybody its Rick Here…. Just wanted to Let everyone know that I have added a NEW PAGE!! to put them all together and get them into a folder to add to that NEW Before and After Page. please stay with me as I add these. Now for those that WANT to Get Subscribed to this Website Please hit that Subscribe button at bottom right of the banner it should read Subscribe Via Email RSS feed, IF YOU DO THAT you will get notified when I make any changes to this website, including adding these Before and After Photo’s to that page. IF YOU WANT to hit YES, please do so, and you WILL be Notified when I add any content. 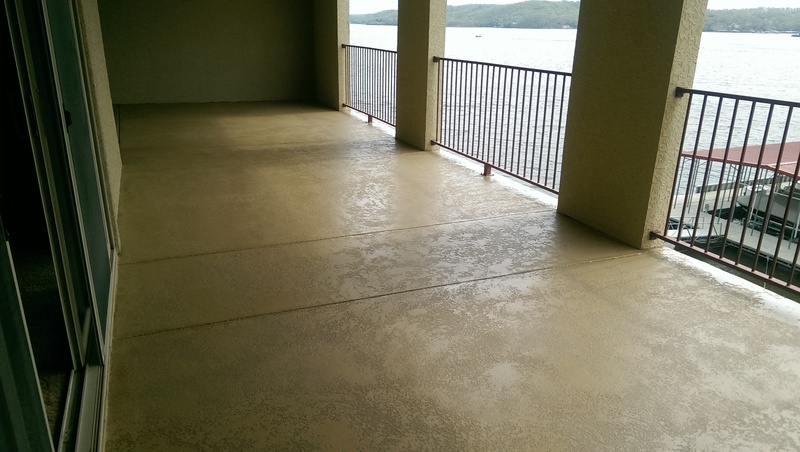 This week we’re at a condo complex in Greenview Missouri, this is an upper suspended deck with a gorgeous view, the homeowner wanted to do a solid seamless knockdown finish in a chocolate color. We begin our work morning like we do most every job we grind the surface with our walk behind and hand grinders open up any cracks and repair, and then grind the repairs flush. Once the surface has been thoroughly profiled we get it all cleaned up and ready for concrete. The next step of the process is to lay out a base coat of colored concrete once that’s down we add a second coat, that’s pretty much all we did the first two days. Our third day we came in and prepped all of the walls, glass, and railing… Set up our mixing station and sprayed our concrete with our hopper gun, then knocked it down with our trowel…. Simple process. Today we came back pulled down all the paper knocked down all the concrete burrs, cleaned it up real well and put on two coats of our premium sealer. Overall this is a very simple process and does not take us very long. We had some great concrete to work with on this particular project, the home was only about three years old and the concrete was in almost perfect condition there was one large crack that ran from one side of the slab to the other side on the lower outside patio/deck other than that the concrete was awesome to work with and so were the people! The total square footage on this project was approximately 500sqft, the finish is Tuscan slate the coloring is a charcoal antique stain. The prep work consisted of grinding out the loose material in the crack on the back patio deck, once we had it opened and cleaned we poured our material inside of the crack overflowing it letting it cure and grinding it down flush. There was some grinding here and there on the slab the walkway and the front stoop but it was very minimal, our next step was to mix up the muriatic acid and ammonia in separate buckets then put on our muriatic acid first followed by our ammonia and water mix once this was thoroughly scrubbed in we hooked up a pressure washer and pressure washed everything clean. Once the prep work was out-of-the-way, we set up our workstation and proceeded to mix our first bucket of concrete, next step we applied our base coat of colored concrete, once the base coat was applied on all surfaces we continued to mix our concrete only a little bit lighter for the texture coat which is our Tuscan slate, once the first surface was dry we continued to apply our texture coat on top of the base coat on all surfaces. The next day we came back prepped all the walls with paper or anything we didn’t want the antique stain to color, from there I mixed up enough antique stain to do the entire job once mixed we sprayed it down, sometimes you don’t always get it right the first time so we had to spray a second coat on (to darken more) until I got the look that I wanted once that was on all we could do was let it dry, we came back the next day and we put two coats of our premium CSS sealer on it. Wrapped up a pretty simple job, but it turned out great… The homeowners were happy and so was I. 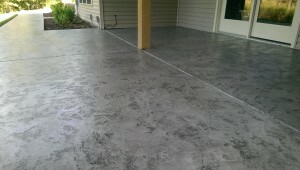 What Affects Cost of Decorative Concrete Floors?? 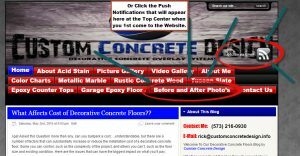 Comments Off on What Affects Cost of Decorative Concrete Floors?? Size of the Floor – Typically, the larger the floor area, the lower the cost per square foot for installation due to the economies of scale. A small residential floor project, for example, is likely to cost more per square foot than a large 50,000-square-foot commercial floor. 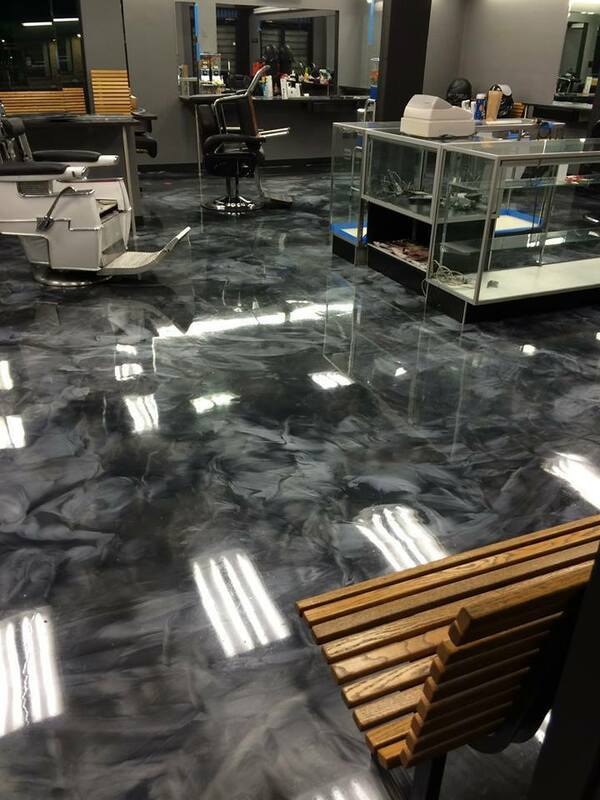 Material Requirements – Using multiple colors of stain or dye on your floor or a specialty epoxy or metallic coating will not only increase your material costs, but also the labor costs for installation. Current Condition of the Floor – Existing concrete floors that require a lot of patching or surface preparation will boost your total installation cost because these flaws will need to be repaired before the final decorative finish can be applied. Extensive surface preparation, such as grinding, crack repair, and spall repair, can add as much as $2 per square foot to the overall cost of the floor. If a full resurfacing is needed, expect to tack on another $2 to $3 per square foot (for a $4 to $5 per square foot increase). Floors on Grade vs. Above-Grade Installations – Decorative concrete floors installed on raised decks or subfloors will need a cement underlayment installed before the finished floor can be applied. Typically installers put down a series of products including waterproofing, metal lathe, a concrete overlay and then the final finishing and sealing coats. These applications can add another $2 to $3 per square foot to the cost of the floor. Moisture-Vapor Transmission – Some floors have a high level of moisture-vapor transmission that will need to be remedied before most decorative coatings, overlays or sealers can be applied. 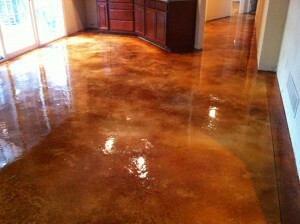 This is usually not an issue with stained or polished concrete floors, although it can affect the color. #1 Most Viewed Contractor On…. CLICK THE LINK!! Comments Off on #1 Most Viewed Contractor On…. CLICK THE LINK!! 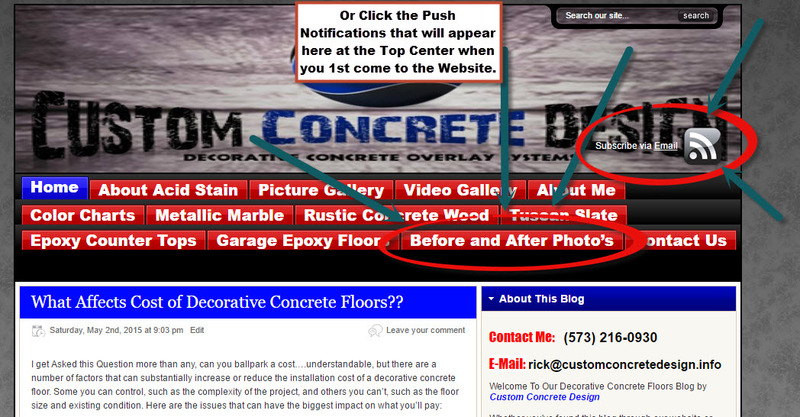 The Title Says it all currently we are the most viewed and talked about profile on Decorative Concrete Kingdom, click the Blue Highlighted words THAT READ–>> HINT–>> 😉 Decorative Concrete Kingdom and find out why we are getting so much traffic to our Profile page. 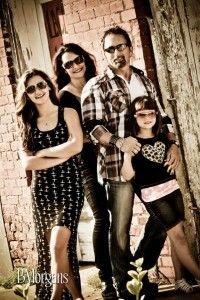 Stay tuned updates are comin up soon!! !